Huna is a Hawaiian word that describes the theory of metaphysics which is linked to the ancient Hawaiian Kahuna. The word Huna is the Hawaiian word for Secret. 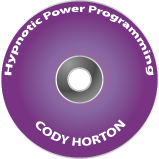 Through this hypnotic power program you will be initiated into the world of Huna!